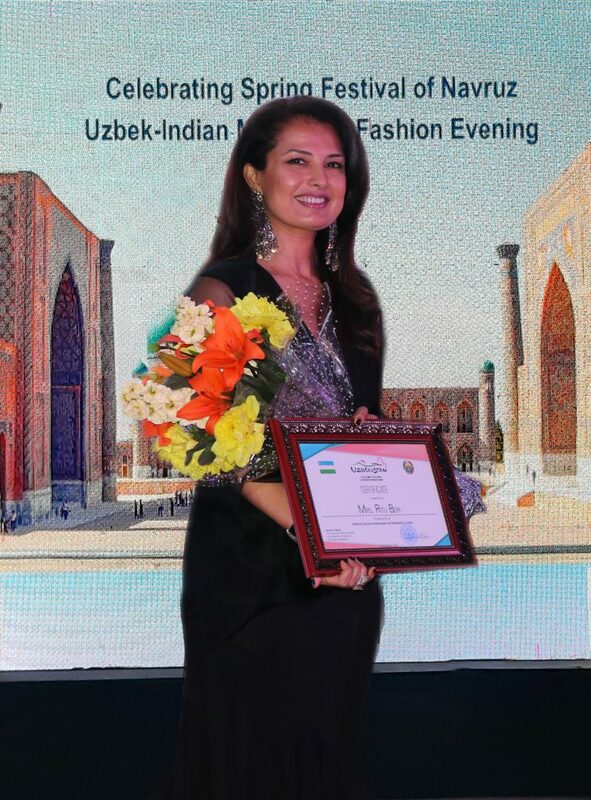 India’s ‘Fashion Queen’ Ms Ritu Beri has been appointed as Culture and Tourism brand Ambassador of Uzbekistan to India. It was officially announced during the Uzbek-Indian joint fashion and music Festival, which took place on 15 March, in the Embassy of Uzbekistan. The Ambassador of Uzbekistan to India Mr. Farhod Arziev presented to Ms. Ritu Beri the certificate of the State Committee for Tourism Development of Uzbekistan. Ms. Ritu Beri expressed her gratitude to Tourism authorities and Embassy of Uzbekistan in India for such high trust and honor and stated that will give her effort to further deepening the cultural and friendship ties between Uzbekistan and India. The exclusive collection by Ritu Beri was shown during the fashion evening. Moreover, well-known collections from Uzbekistan by “Mursak” Fashion house and “Anor Atelier” were also demonstrated during cultural event. The artists of famous national folk band from Uzbekistan “Surkhon” performed famous traditional and international melodies for the guests.